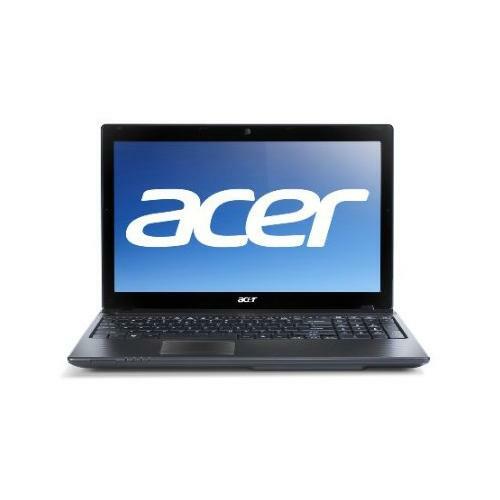 Take your movies, music and more on the go with this lightweight Acer Aspire One AO756-2623 laptop that features a 320GB hard drive for ample storage space. The Intel Celeron processor delivers reliability for everyday mobile computing. 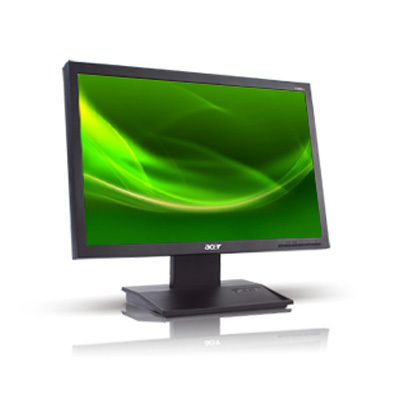 Enjoy the Acer V223W EJbmd 22" Widescreen LCD Monitor that includes a DVI (HDCP) connector and is available with or without integrated speakers. These environmentally friendly LCDs have earned the EPEAT (Electronic Product Environmental Assessment Tool) Silver rating, meaning that in addition to meeting the 23 required criteria, they have also met at least 50% of the 28 optional criteria. 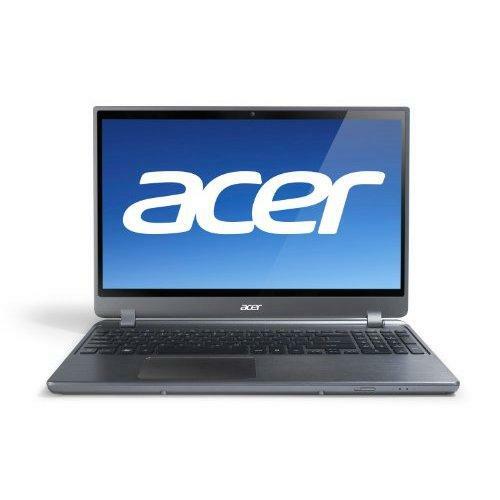 The Acer Aspire AS5560-Sb659 Notebook offers powerful dual-core processing performance, the latest connectivity technology and rich media features for a fast, responsive PC experience. Watch movies, play realistic PC games and more in stunning HD! This PC delivers everything you need to stay connected to social networks, power through all your daily tasks and multitask with ease. The sleek and compact Aspire X3 Series is just one-third the size of a traditional PC, allowing it to fit anywhere in your home. 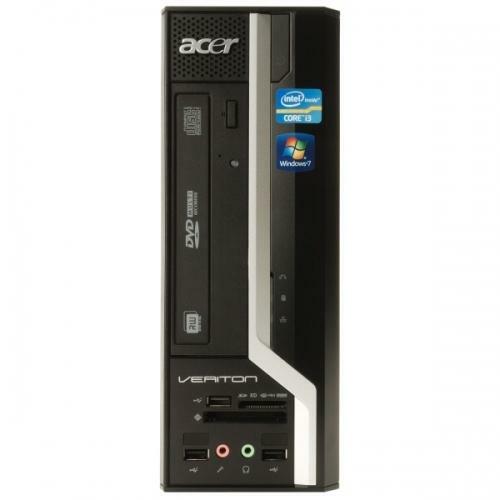 This desktop features high-quality components and software, perfect for handling your home computing and entertainment needs. Moreover, lots of multimedia features and device ports let you enjoy theater-quality entertainment right in your living room. Built in a compact 10 L chassis, the Veriton X4610G is the ultimate choice when performance, expandability and size are of equal importance. With the ability to take dedicated graphics, the Veriton X4610G is a compact powerhouse capable of completing any task you send its way. 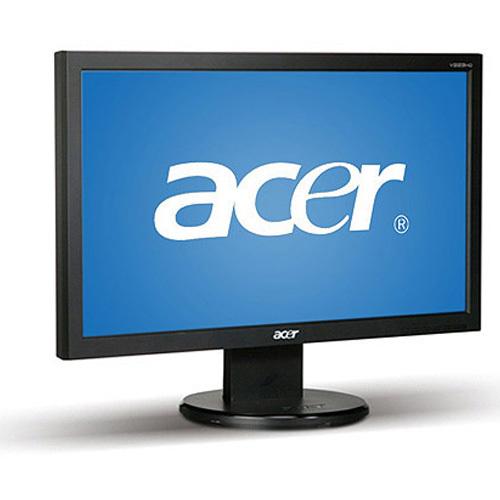 Acer S2 Series monitors deliver world-leading slim designs of 13 millimeters. 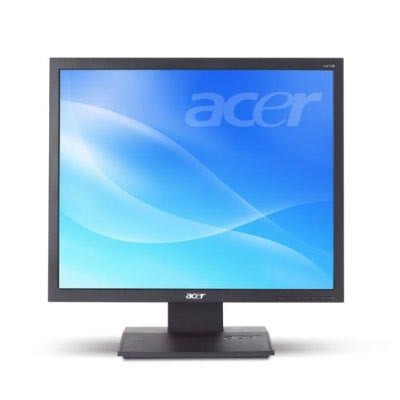 The glossy black finish of this Acer 24" LCD monitor is specially complemented by a round black base encircled by a transparent, double-injection frame, creating an eye-catching effect that makes the large screen appear to float. Special attention to is paid not only to providing the slimmest outline, but also to eco-friendliness. 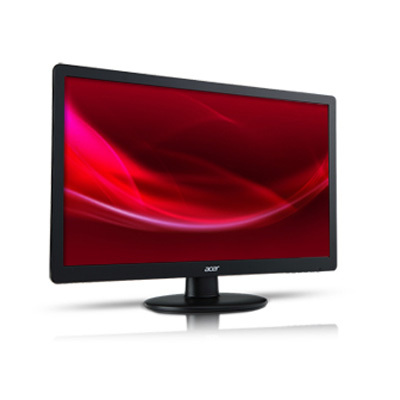 Hence, the Acer 24" LCD monitor uses white LED technology, making it powerful. 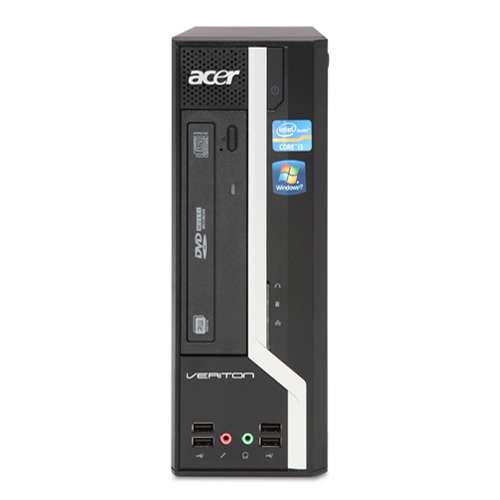 Fueled by top-notch components and technologies, the Acer Veriton M Desktop PC gives you the resources to handle challenging office tasks and oversee company assets. In addition, innovative Acer engineering enables modular and tool-less accessibility to your machine, while energy-efficient certifications mean cost savings as well as care for the environment. A robust processor provides all the bandwidth you need for the next generation of highly-threaded applications. The S3 Ultrabook weighs in at just under 3 lbs and measures only 0.5" thin! Comfortably carry it under your arm or simply slip it into a backpack or tote bag. 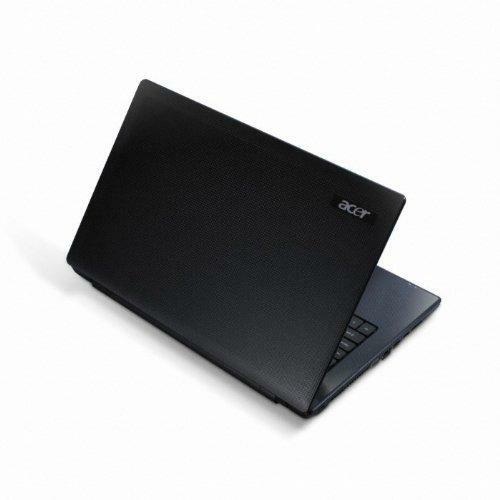 This pure, uncluttered design not only looks good- but enhances your everyday computing experience. Every single detail has been carefully selected to give you the very best, from the large multitouch touchpad for seamless interaction to the essential ports you need. 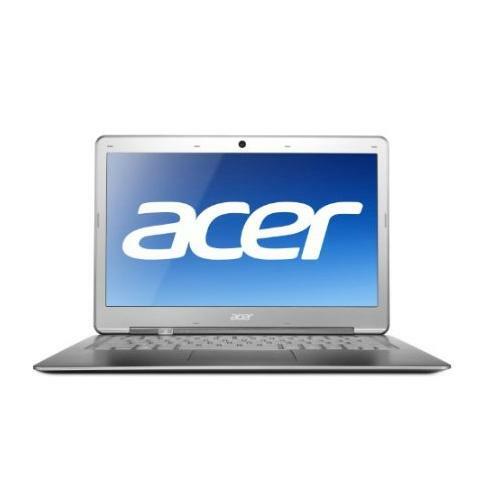 The Aspire S3-391-9606-US 13.3" Ultrabook Computer from Acer finds the perfect balance of performance and portability. It has a 0.68" slim design and a weight of just under 3 pounds for ultimate mobility. While it may be ultraportable, it can still deliver when it comes to processor power. Take powerful dual-core Ivy Bridge Intel Core i7 performance with you while on the go. 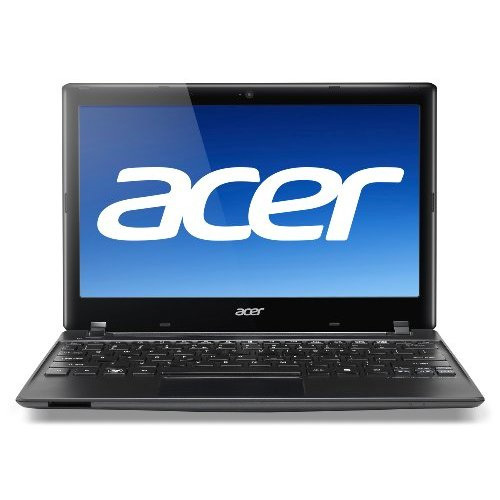 The 13.3" HD CineCrystal display on this Acer Ultrabook has a 16:9 widescreen aspect ratio. The full-featured Aspire V5 Series Notebook completes your mobile life style with its impressive performance in an incredibly slim design- and at a price you can afford! At only 1" slim and super light, its easy to complete assignments, watch movies, jump on your social networks and more wherever you are! Cool features like Acer Instant Connect and Acer Clear.fi make connecting and sharing media easy so you can have fun and stay productive without any extra effort. 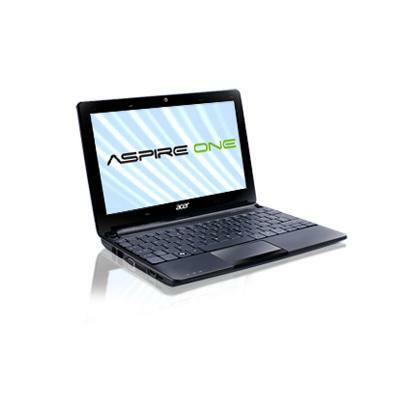 The Aspire One AO722, 11.6" Netbook, is the perfect combination of usability and portability in one compact machine. You'll have everything you need in a travel light design to stay connected on the go, enjoy more of your media and tackle your everyday demands with ease. Acer's patented LED technology is so impressive, the Acer S200HL Abd 20" Class Widescreen LED Backlit Monitor can achieve an astonishing dynamic contrast ratio of 100,000,000:1. 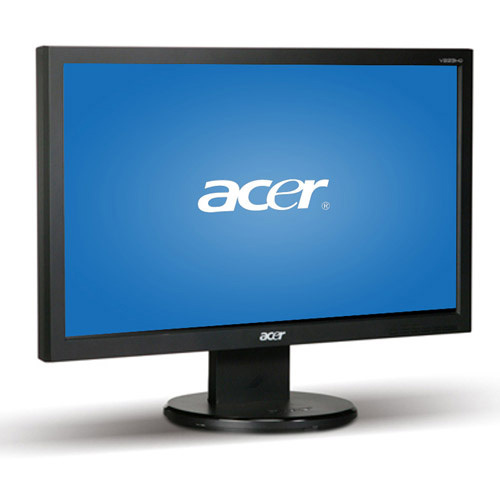 The Acer S200HL Abd 20" Class Widescreen LED Backlit Monitor also boasts an Energy Star rating that supports it low power consumption rate if a mere 22 Watts when the Economy mode is on. 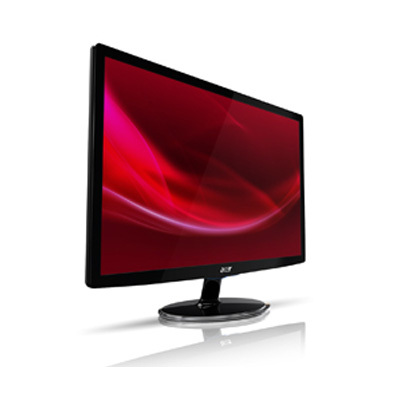 The petite multimedia V173 is a reliable display rendering all the ergonomical and quality benefits of LCD technology. Transforming your workspace into a modern work or entertainment area thanks to the slim and compact design. Thanks to the optional multimedia feature you avoid the need for external speakers with your PC system. The sleek and compact AX1920-UR22P PC is just one-third the size of a traditional PC, allowing it to fit anywhere in your home. 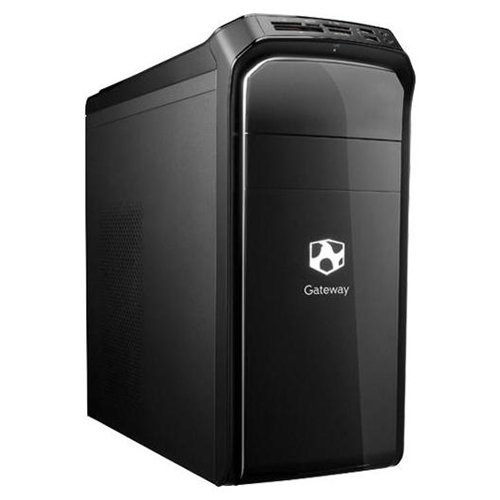 This desktop is your essential home PC with first-class applications and components that deliver great performance in a small form factor -- ideal for your everyday computing needs. Perfect portability, perfect usability. 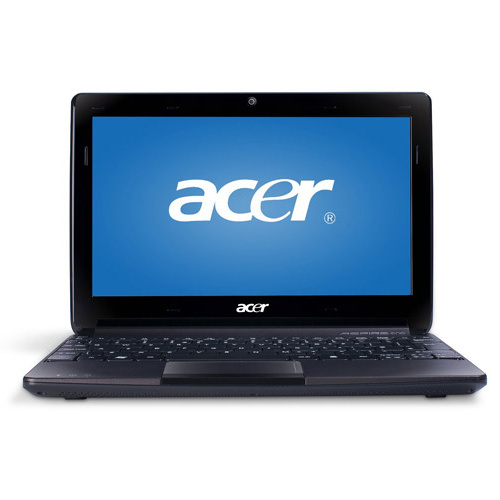 This Aspire One Netbook is less than 1" slim and under 3 pounds, yet this thin and light PC has dual-core AMD accelerated processing and the power of Genuine Windows Home Premium. The Acer Aspire AS5750Z Notebook meets your daily computing needs with multitasking performance, the latest connectivity and impressive graphics. Enjoy rich HD entertainment on the gorgeous 15.6" widescreen LCD display with Intel HD graphics for stunning visuals. Throw in cool convenience features and you have everything you need within reach to power through daily tasks and enjoy your media wherever you are. The Aspire One AOD270 is the ultimate fun and ultra-portable companion bringing you efficient performance, sensational style and convenient connectivity anywhere you go. With powerful processing performance, effortless entertainment and seamless connectivity Ã¢Â€Â” there's no limit to what you can do! Check your social networks, browse the Internet, read and send email, share photos, chat over webcam and enjoy a variety of media wherever you are. The V193W brings to the media world a smart widescreen format within a slim design for the ultimate viewing experience bringing more fun and enjoyment to your PC activities. The quality V193W widescreen display maximizes the usage of data and video applications, whether scrolling the Internet, working on multiple office applications or digital photography in fine details. 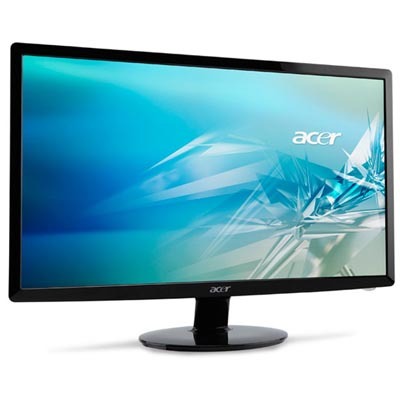 The Acer V203HL BJbd 20" LED-Backlit Widescreen Monitor features a 1600x900 resolution with a 16:9 widescreen aspect ratio. The monitor's wide viewing angle makes the monitor perfect for watching multimedia content with others. 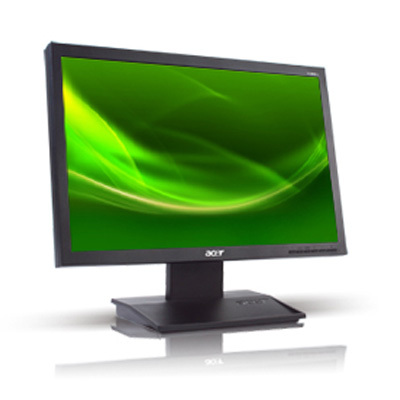 The monitor uses an LED backlight and a high contrast ratio to provide easy viewing in any light. 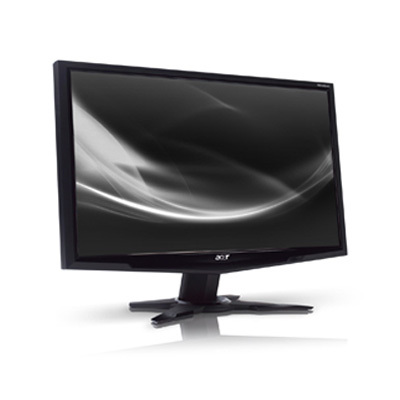 The Acer G215HV 22" Class Widescreen LCD Monitor has a dynamic contrast ratio of 20,000:1 so you get to see the deepest blacks and the brightest whites of all your images. 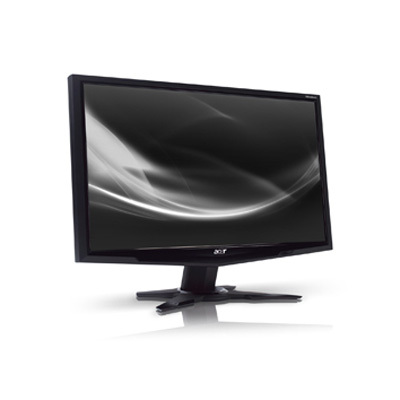 Top of this great value with an Energy Star rated power consumption that makes the most out of every watt and the Acer G215HV 22" Class Widescreen LCD Monitor starts to sound almost as great as it looks. 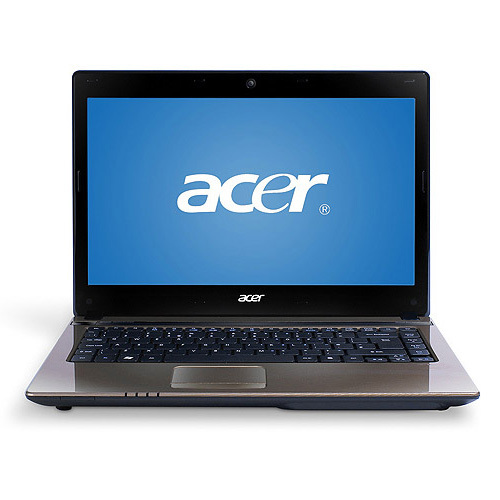 The Acer G185 displays engaging high-definition visuals and crystal-clear text on its 18.5" cinematic widescreen. The brilliant design, simplified functionality and earth-friendly power savings make the great value of this monitor easy to see! 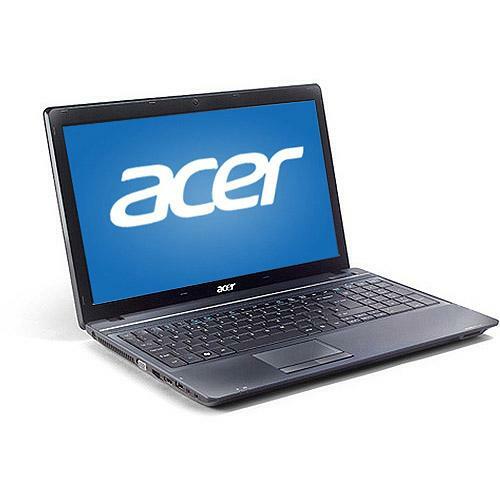 Enjoy an incredible computing experience with the Acer G185H AB 18.5" Widescreen LCD Display. 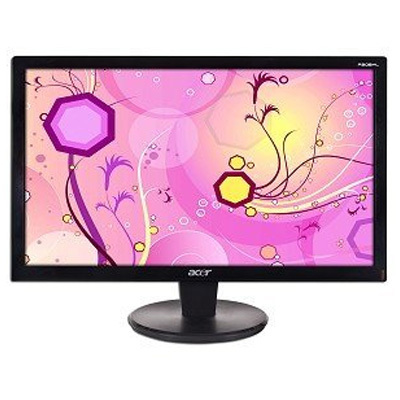 The black LCD monitor features an anti-glare diagonal screen of 18.5 inches that can be mounted on a wall to save space. Its widescreen helps you to view two documents at the same time or watch movies. The 720p HD monitor comes with a screen resolution of 1366x768 to provide excellent image quality for your gaming and viewing needs. 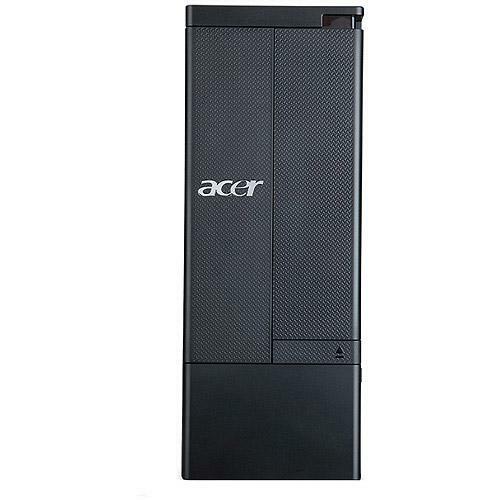 This Acer Desktop boasts an extremely generous hard drive capacity of 1TB, which will be more than enough for all of your photos, movies, music and documents. 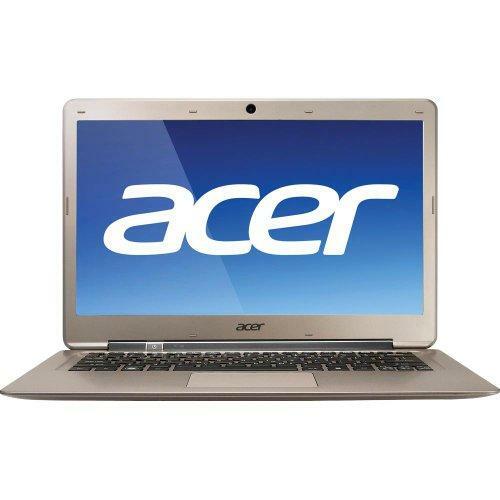 It also comes with an Intel Core i3 dual-core processor, promising high speeds and efficiency. In addition, it has 6MB of standard memory, so multi-tasking will be smoother and easier than ever. The DX4860-UB32P has a total of four memory slots and a memory card reader, so you can easily access data stored externally. The Acer 15.6" TravelMate TM5760-6819 Laptop PC has everything you need to compute on the go. Microsoft Windows 7 Professional lets you complete any task. Connect with family and friends with the built-in webcam. 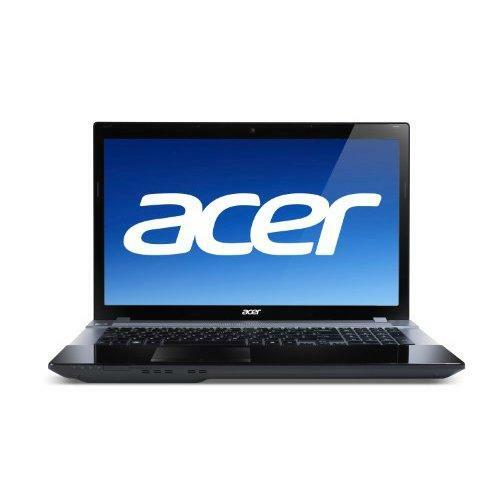 The Acer 17.3" Aspire 7750G Laptop PC offers perfect big screen enjoyment and smooth multitasking with its expansive HD+ display and Intel processing power. Built-in communication capabilities also help to make this laptop exactly what you need to get full-featured performance at home. 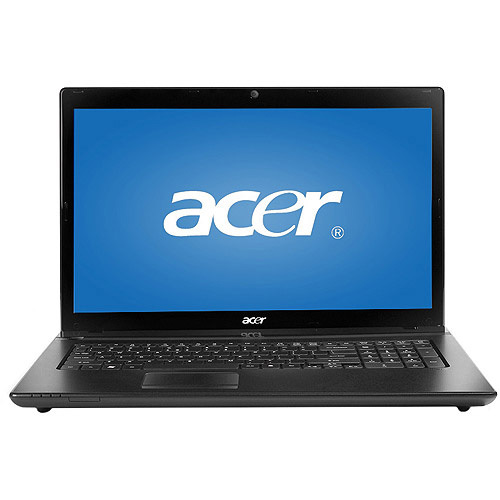 The Acer Aspire AS5749 Notebook presents multimedia performance, the latest connectivity, impressive graphics and high definition display to take you right where the action is. This 15.6" PC makes it easy to power through your everyday tasks and enjoy your favorite media while boundary-free wireless and web cam keep you in touch at all times. Get full-sized laptop power in a compact body. Designed specifically for mobility, the AMD dual-core processor brings seamless wireless connectivity and all-day computing with up to 7 hours of battery life! The brilliant ATI Radeon HD 6290 technology delivers hard-hitting multimedia performance capabilities. Get a visual and high-performance experience never before seen on a netbook. 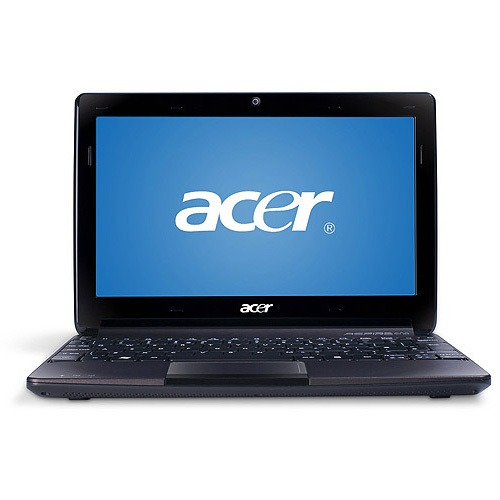 Acer offers performance, portability and affordability in one complete package. It has a 15.6" HD CineCrystal display with a true 16:9 aspect ratio. The screen has a 1366 x 768 native resolution, which is supported by the integrated Intel HD graphics. The 11.6" Aspire One 722 is sensationally designed to deliver amazing HD visual experiences wherever you go. 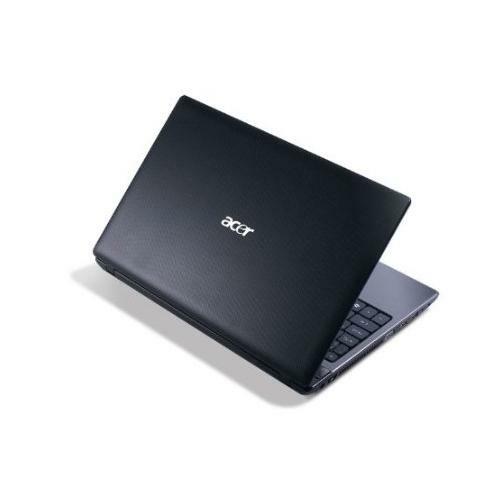 Anytime, anywhere connectivity plus an eco-friendly platform round out this netbook and make it ideal for your highly mobile digital lifestyle. 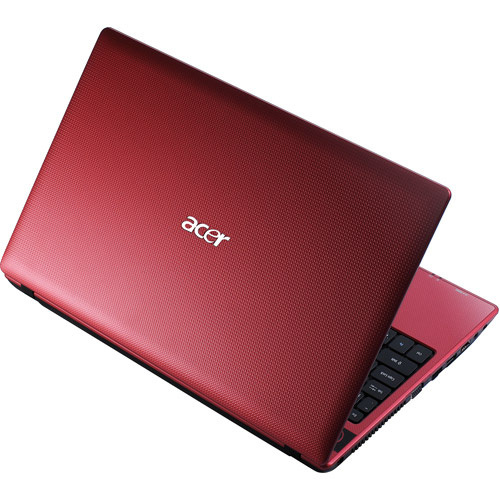 The Aspire AO722 11.6" Laptop PC is the perfect combination of usability and portability in a thin and light design. 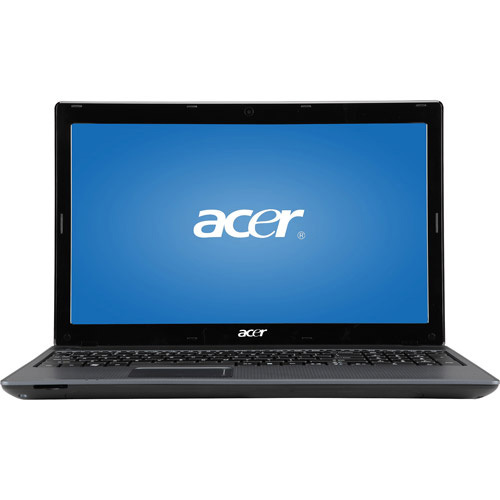 It boasts a full-size keyboard and excellent connectivity for the best of both worlds. You'll have everything you need in a travel light design to stay connected on the go, enjoy more of your media and tackle your everyday demands with ease. 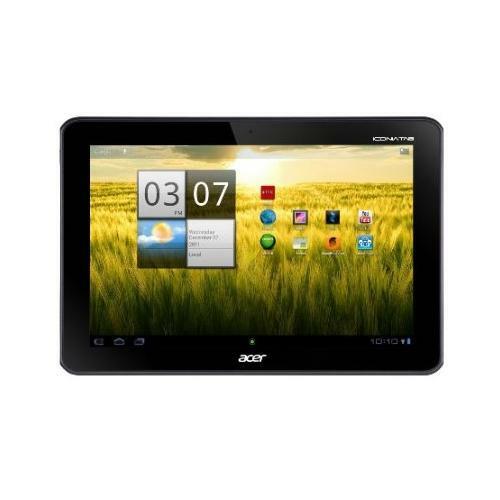 Acer Iconia A200-10g08u Tablet comes with these high level Specs: NVIDIA Tegra 2 Dual-Core Mobile Processor, The latest build of Android Honeycomb Operating System, 10.1" WXGA HD Multi-touch Display, NVIDIA GeForce Graphics, 1024MB DDR2 Memory, 8GB internal storage, MicroSD Memory Slot (up to 32GB), Stereo Sound, 802.11b/g/n Wireless, 2MP Front Facing Webcam, , Up to 8-hours Battery Life, Acer Clear.fi, Acer Sync, 1.54 lbs. 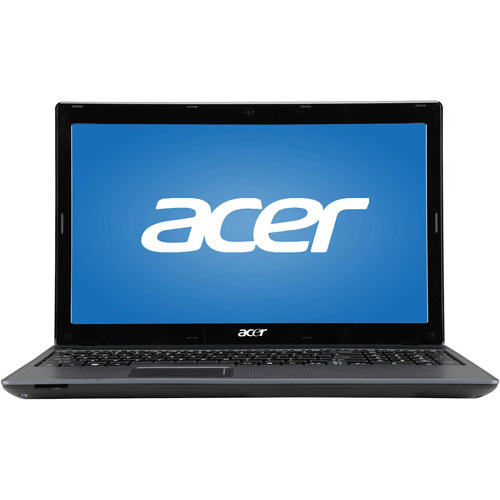 The Acer Aspire 17.3" AS7560-SB416 Laptop PC offers powerful performance with its rich media features for a fast and responsive PC experience. Featuring a gorgeous widescreen LCD display, it offers amazing graphics and wonderful video clarity. 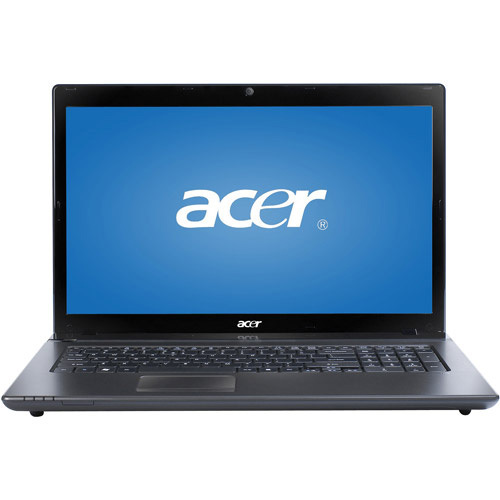 This Windows 7 Home Premium laptop can handle lots of multimedia applications with its 4GB of DDR3 DRAM system memory. Acer's Aspire Series offers a diverse range of notebooks with the performance, graphics and communication tools to maximize your digital entertainment, complete your daily tasks, and keep you in touch with friends and family, whether you are at home or on the go. 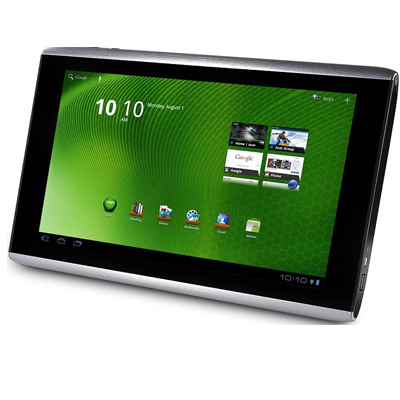 Lightweight and smaller than a magazine, the ICONIA TAB A series is very easy to carry. It runs on the tablet-tailored Android operating system, and sports a capacitive multi-touch display with smart divisions that open up possibilities for interaction. Enjoy a touch experience! The HD-ready 20" Acer P206H widescreen display presents lifelike imagery for superb enjoyment of multimedia, graphics-intensive applications, and Internet browsing. The slim, glossy frame and round base with unique concentric-circle patterning portray a look for the modern home. 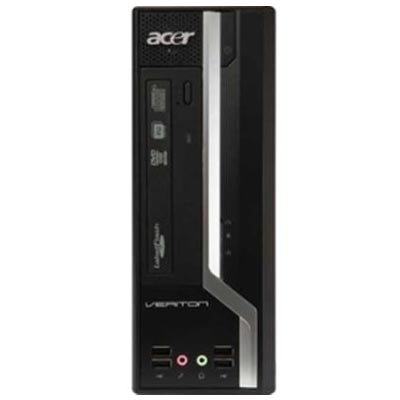 The large power button is located on the right side for easy access, and lights up when the monitor is turned on. This monitor's impressive appearance plus 250-nit brilliance makes the Acer P206H a winner inside and out. 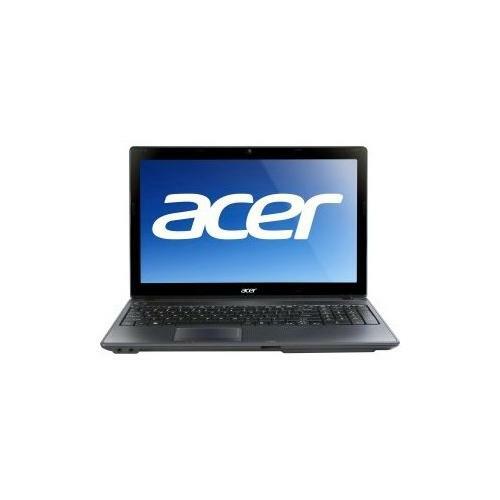 The Acer 14" Aspire AS4752Z Laptop PC has everything you need for the ultimate mobile lifestyle by delivering solid performance for emailing, surfing the web, enjoying photos and videos and more! With a vivid 14" HD widescreen LED-backlit display, Intel Pentium Dual-Core performance and Windows 7 Home Premium, you have plenty of power to complete your daily tasks while the HDMI port and Intel graphics make it easy to enjoy all of today's HD media entertainment. 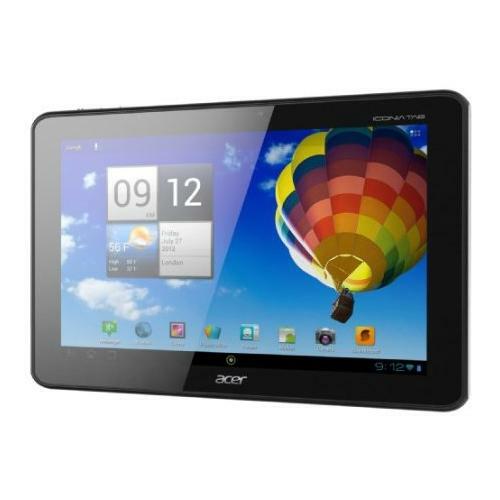 The Acer 32GB Iconia Tab A Series 10.1" A510 Tablet is an ultra-portable, multi-touch tablet equipped with a high-definition 10.1" TFT color LCD display that supports cinematic WXGA 1280 x 800 resolution. It features an Android 4.0 Ice Cream Sandwich operating system, as well as an nVIDIA Tegra 3 quad-core mobile processor capable of 1.3 GHz processing speeds. 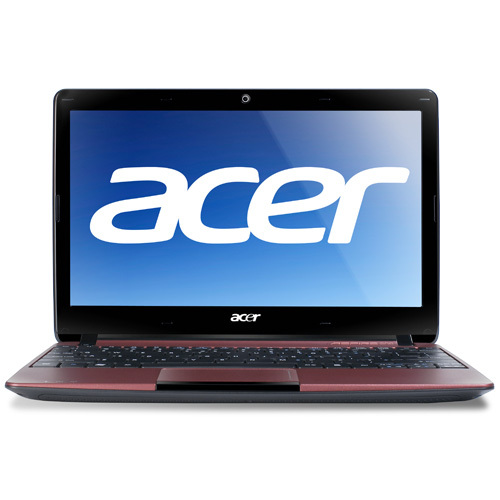 It's equipped with ultra low power (ULP) high-performance 12-core nNVIDIA GeForce graphics as well. Experience multimedia and HD video playback and a bit of casual gaming. 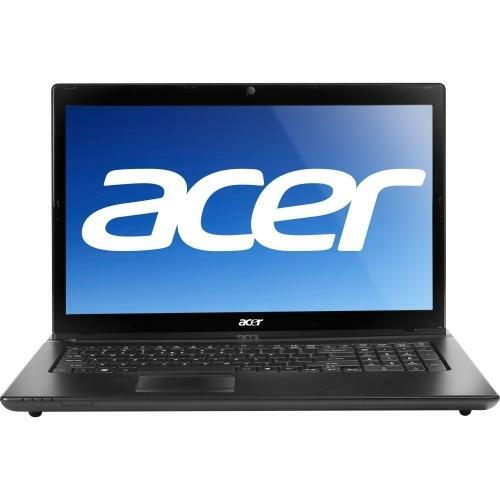 This laptop features a 15.6" HD widescreen CineCrystal LED LCD and is powered by the AMD Dual-Core Processor C-50 (1.0GHz, 1MB L2 Cache) which includes the ATI Radeon HD 6250 Graphics with 256MB of dedicated system memory. The HDMI port lets you watch HD video from your PC on an HDTV. The Acer 15.6" Aspire AS5733Z is a stylish Laptop PC that has everything you need to power through daily tasks and enjoy your media wherever you are. Stay productive with powerful processing that allows you to multitask with ease! Stunning graphics deliver the very best in entertainment and gaming while boundary-free wireless communication keeps you in touch at all times. 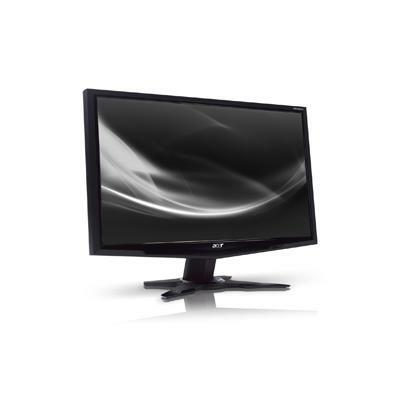 The Acer S201HL bd 20" Widescreen LED Backlit Monitor is essential for your media-minded PC. The full-featured Aspire V3 Series Notebook delivers outstanding performance, ample communication and rich entertainment in a classy design thatÃ¢Â€Â™s incredible thin - and at a price you can afford! At just over 1" thin and super light, its easy to complete assignments, watch movies, jump on your social networks and more wherever you are! Cool features like Acer Clear.fi make connecting and sharing media easy so you can have fun and stay productive without any extra effort. 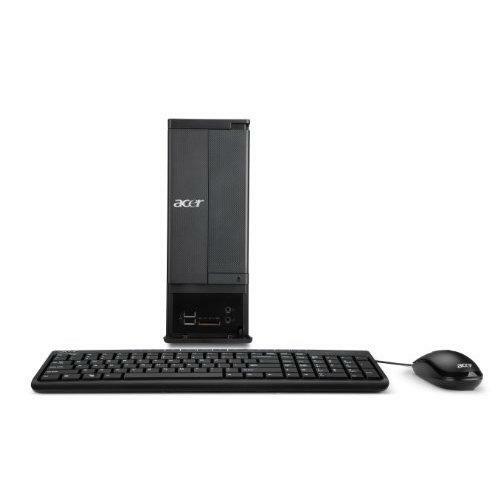 The Acer Veriton X VX4618G-UI72601W Desktop PC packs powerful components and advanced technologies to handle the most challenging office tasks. 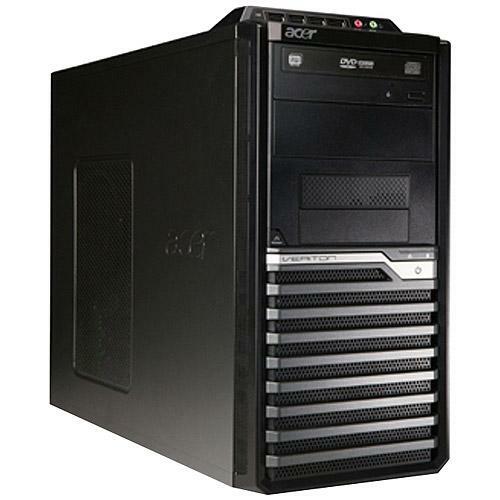 This PC also features ample support and security for the company network. The modular, tool-less design makes accessibility easy and energy-efficient certifications signify cost savings and care for the environment. A fraction of the size of a standard PC, the Veriton X Series takes care of all your business needs while preserving precious office space. An all-in-one for everyone, the Gateway One ZX4951-33e All-In-One PC features easy-to-use touch screen technology, eye catching style, dual-core power and fantastic entertainment and media sharing at your fingertips. 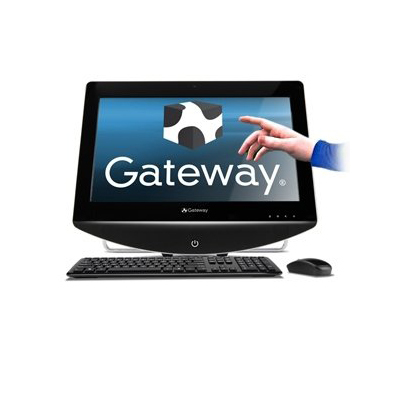 The Gateway One ZX4951-33e All-In-One PC's 21.5" Full HD display saves space, is easy to use and is perfect for any room in your home providing interactive computing, enhanced media sharing with social networks and stunning HD entertainment. 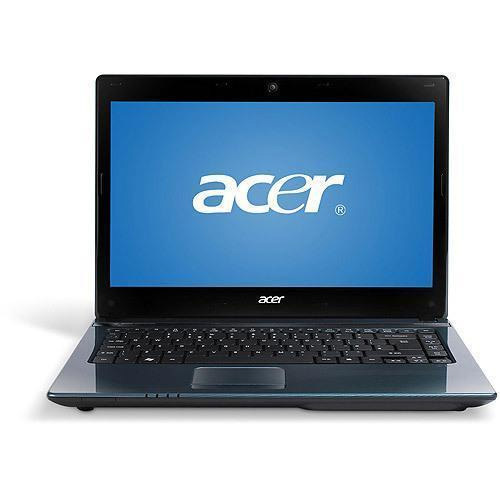 Acer Aspire AS5250-BZ467 Laptop features an AMD Dual Core E-450 1.65GHz processor with 4GB DDR3 RAM memory and 500GB HDD. 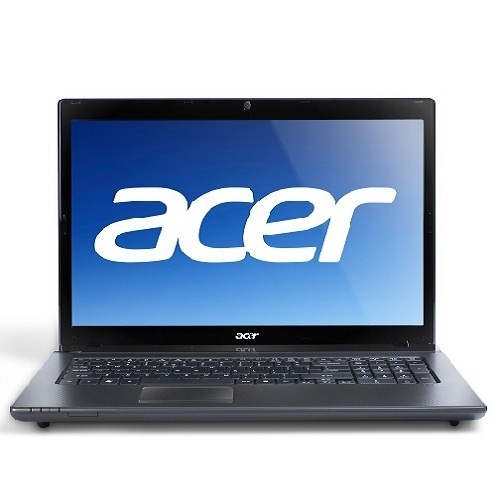 The Aspire TimelineU M5-581T-6490-US 15.6" Ultrabook Computer from Acer is the 4th generation of the Aspire Timeline Series and it joins the Acer Ultrabook family. With a super slim profile of 0.81", a weight of just over 5 pounds and up to 8 hours of battery life, this ASUS Ultrabook was built for ultimate mobility. 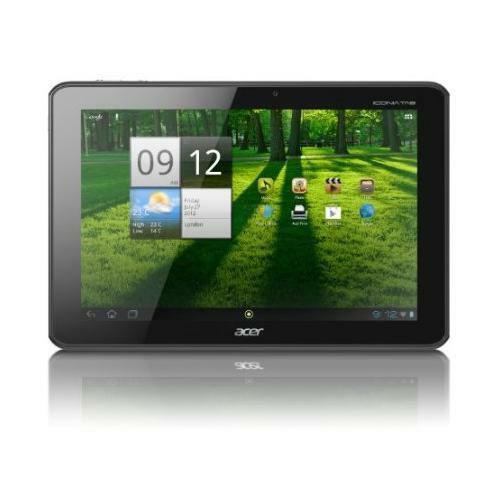 See the difference for yourself with the Acer ICONIA Tab A700 Series. Stunning 1920 x 1200 resolution brings your movies, Web- browsing, gaming and more to life - see every detail in brilliant clarity and detail. The quad-core processor delivers unbelievable power for fast performance and smooth multitasking while productivity boosting apps let you work harder than ever, the A700 can handle it. With up to 13 hours of battery-life, enjoy your day like you were meant to, all day long. 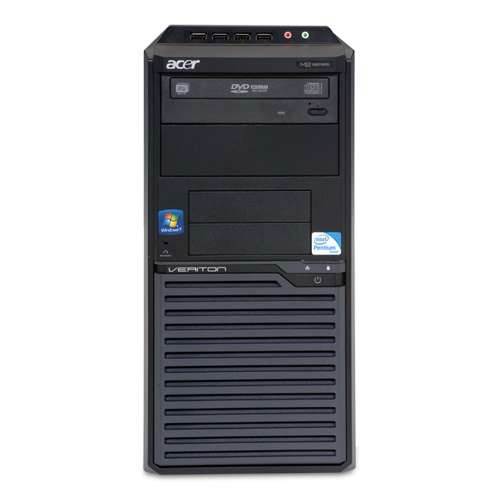 Designed for professional business operation, the new Acer Veriton VX2110-UA260W Desktop PC offers robust processing quality and excellent performance of your office tasks and applications.